Radiant heat aids in the drying of the floors! The parking garage shown here is heated by a few Reflect-O-Ray 3.5" vacuum radiant heating systems. This Omega II infra-red heater is hanging at a 30 degree angle, to heat and dry the detail bay in this auto body repair facility. This three burner 3.5" Reflect-O-Ray vacuum system will heat this auto facility to a very comfortable level. This is a 3.5" burner head that which is part of a (3)-burner, (1)-vacuum exhauster Reflect-O-Ray 3.5" vacuum system! 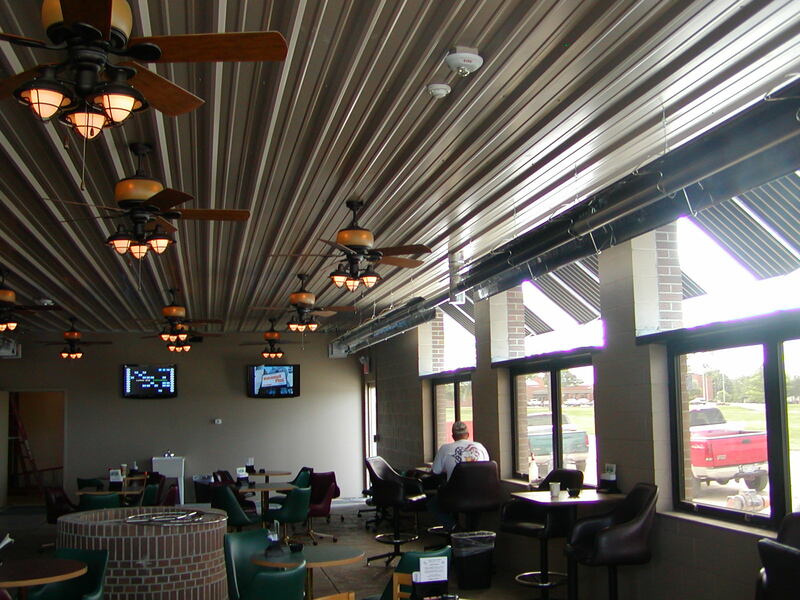 These Two Stage Omega II HL infrared systems, were used in this outdoor patio area, that will be used year round. 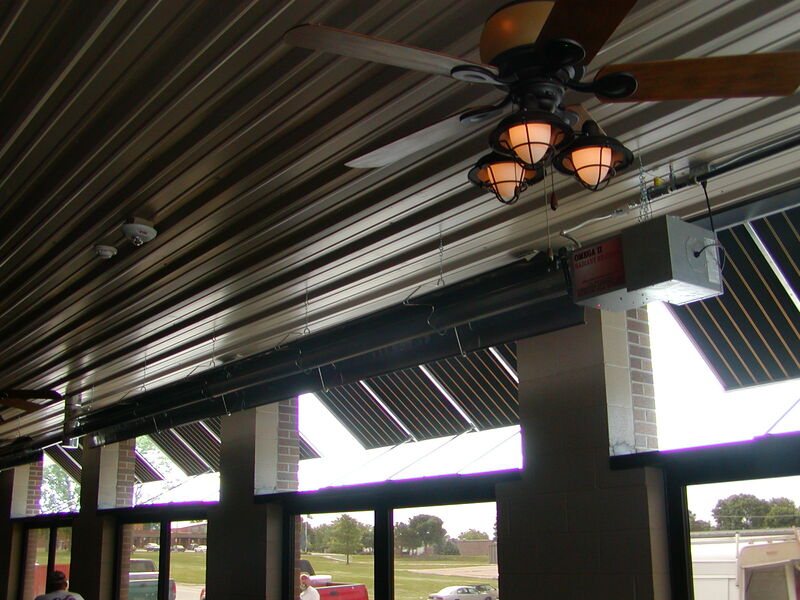 Having two units vent together, creates an even heat barrier for this outdoor patio.